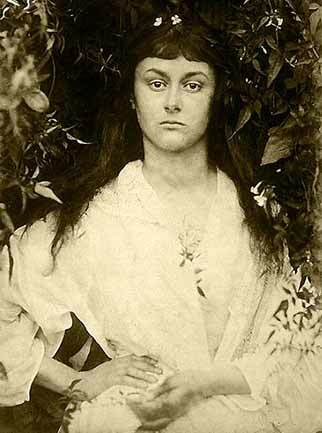 And so to Alice Pleasance Liddell, perhaps Cuffnells’ best known resident. Born in 1852, Alice was destined to become the inspiration for Lewis Carroll’s Alice in Wonderland. Carroll’s real name was Charles Dodgson. His first recorded meeting with Alice took place on 25th April 1856, after which he became friendly with the Liddell children, entering their world with his telling of the nonsense tales that were to become the basis for the fictional Alice. In July 1880, Alice became engaged to Reginald Hargreaves and they were married in September of that year in Westminster Abbey, thereafter living at Cuffnells. An oak tree on the estate, close to Chapel Lane, is reputed to have provided shade for Alice on many occasions as she sat reading beneath the spreading boughs. In 1926, after her husband’s death, it became increasingly difficult for Alice to maintain Cuffnells, so in 1928 she sold at Sotheby’s the manuscript of Alice's Adventures Under Ground which raised the then enormous sum of £15,400 – nearly four times the reserve price. In 1932, the centenary of Dodgson's birth, Alice was invited to visit the United States to receive an honorary degree from Columbia University, although she later confessed that she was ‘tired of being Alice in Wonderland’. She died peacefully in 1934, aged eighty-two, whilst staying near her sister’s house in Kent, was cremated and her ashes placed in the family grave in Lyndhurst parish churchyard. In the baptistry of the same church can also be found a monument to two of her sons, Alan and Leopold, both killed in World War I, whilst Reginald, Alice and their other son, Caryl are remembered on the end of the family pew, right in front of the pulpit. Like many other country houses, Cuffnells became a hotel for a short time, but was requisitioned in the Second World War for use by a searchlight battalion. Sadly, it seems that the old house never properly recovered, for subsequently, with little money available for repairs and maintenance, it was demolished in the early 1950s. One of Cuffnells’ fireplaces was, however, apparently rescued, and can be seen in the Oak Inn at nearby Bank. Local legend also has it that when the old house was demolished, a connecting tunnel to the lodge was discovered, but for what purpose has not been recorded.